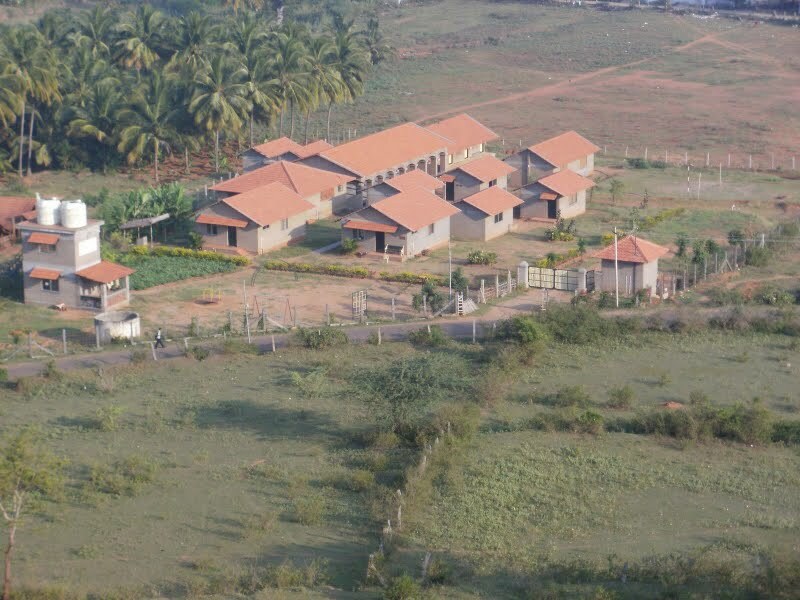 Back home at Vidya Vanam! Yesterday morning we arrived safe and sound back to our home for the year! We got settled, cleaned out our room and found a few unexpected gifts of mice droppings and dead cockroaches! These were all cleaned upand the room was disinfected and tidied, well Caitlin was tidy my side was still seriously messy but just slightly better. Anyway that took up the majority of the time until we got a chance to chat with the other staff at lunch all about their exciting training trip to Ghandiji’s school in Wharda. Then in the afternoon we helped out with some of the kids and put up decorations for todays exciting celebrations for Ghandiji’s birthday! Today I helped out in Peepal class reading stories and singing nursery rhymes-I know what you’re thinking, me singing?! But Baa Baa Blacksheep is hard to get wrong. Then we went to the big hall to watch all the dancing and stories and songs the kids had prepared for their parents and the special guests. After that we headed over to the first complete classroom of the new building block to look at the kids beautiful artwork, I’ll put up more photos when Dad posts me out the correct cable! It would have been amazing for UK standards let alone Indian, so proud to be teaching in this school. We had a half day which we filled with a long and ardurous teachers meeting which switched between tamil and english, so we were never quite sure what was going on! This evening we spoke to Patti, (which means Grandmother in Tamil) she is the Director of the school, basically the boss! I think she’s fantastic, such a hilarious character and so welcoming and kind. We were discussing what work we’ll be doing for the rest of the year and gave her a few gifts from home to say thank you for having us! We were so happy to hear that she wanted us to teach English to the young classes, as initially when we arrived, we thought this would not be the case. I’ll happily be able to use all the stickers and flashcards I brought with me! Alongside that, we’ve still got the mighty position of ultimate control over the library, we’re supposed to decorate all the younger classes and believe it or not I’m going to be helping out in science! I mentioned that I did science and was immediately given the job of helping in Ayshweria’s classes, who told us she much preferred science to children and would rather be a scientist than a teacher. I’m glad I’ll be helping out there, as I think my enthusiasm will be appreciated! What’s more in the morning, there are children here from 7.45am with classes not starting til 9am and Caitlin and I will be running informal English conversation classes with the older kids during this time. Patti also mentioned that we MUST teach the children ceilidh dancing and play the music and she will buy them all kilts for the next Annual Day (in Feb) so they can show it off for the parents and special guests! This chat with Patti has made me even more excited for my time here and so glad I’m back to Vidya Vanam, I truly do love it here and know I’ll have a wonderful year. This entry was posted in Uncategorized and tagged art, ceilidh, cockroaches, Ghandiji, mice, Patti, singing, Vidya Vanam, Wharda by Nuala. Bookmark the permalink.